When it comes to sugar, I’m worse than crack addict. I am full blown addicted to chocolate. I can give up any other food without any problems. I stopped eating steak (my favorite) 3 years ago without ever looking back. I once gave up alcohol for a year. I just LOVE chocolate. I crave it every single day. I’ve given up sugar a few times using different tactics, all with varying degrees of success. Once I tried going cold turkey. It was after a Valentine’s day binge on chocolate and cupcakes. I decided to do a full food detox. Basically I didn’t eat. Instead, I subsisted on water, veggie broth and Bentonite and Psyllium husk concoction. It was so disgusting that I ended up not drinking it at all after day 1 and only drinking the broth/water. I had the worst headache of my life for 2 days. By day 4, I stopped thinking about food altogether. It was kind of nice to not think about what to eat, cooking, grocery shopping, etc. But it also felt weird to not eat at normal meal times. It’s the same feeling I got when I got laid off from my job and I was sitting home feeling weird, like I should be working, but also excited that I didn’t have to. So anyway, my cold turkey plan worked until my “detox period” was over and I caved and ate everything in sight. I’ve also tried replacing sugary food with healthier substitutes. I did this while I was preparing for my fitness competition. I completely cut out all forms of sugar but then tended to eat too many of the healthy substitutes without ever getting the satisfaction of eating what I really wanted. So the cravings never went away. I just tried to suppress them. I’ve also tried slowly eliminating my favorite sugary foods over a period of time. This has been a flat out failure for me. So this time around, I’m cutting out just the obvious danger foods — cupcakes, cookies, donuts, etc. I am still drinking my beloved wine and not worrying too much about hidden sugars since my diet is pretty healthy overall. I’ll eat a protein bar even if it has a few grams of sugar in it because it’s not traditional white sugar. I’m watching my macros and trying to be as balanced as possible. I did cheat last weekend when I went to a winery and had a fancy food and wine tasting. One of the pairings included a tiny little cake. It was only 2 bites and wasn’t worth cheating at all, but I felt like I had to eat it. It was not a good decision. Oh well. Balance is a new tactic for me. I do feel better and I feel like after my cravings intensified, they started to subside. I am not craving chocolate but I am craving other foods. I think of them as replacement foods since they’re foods that aren’t my traditional go-to addict foods but somehow still give me some satisfaction. Last week, I ate no less than 8 peanut butter and jelly sandwiches after not eating one for probably at least 5 years. The jelly has sugar in it but it wasn’t just the jelly I wanted — it was the whole meal. And a BP&J with natural PB, whole wheat bread and natural fruit jelly is actually not bad for you. It has a nice balance of protein, fats and carbs which is perfect for my “balanced” approach. In fact, it fueled one of the best workouts I’d had in a long time. This week I can’t stop thinking about Starbucks skinny cinnamon dolce lattes (another thing I haven’t had in forever). I’m going to continue with this modified sugar detox as long as I can and just see how it goes. I really can’t see myself giving up desserts permanently but I do think I need to pick and choose which ones are worth it. I have a one cheat meal a week rule and will eventually allow that to include sweets again. My favorite meal is hands down chips, salsa and margaritas. And yes, I realize that’s not really a meal. But I make it a meal. 🙂 I am really picky about my margaritas and I like them to be as fresh and simple as possible. Unfortunately, most restaurants make them with god awful neon yellow sour mix (yuck). You can tell because the margarita will be a bright yellow, almost orange color. 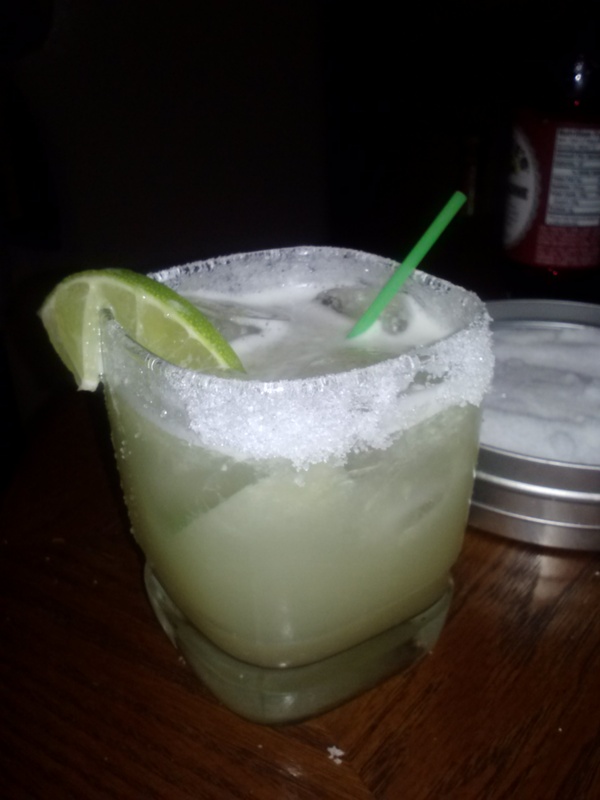 A good margarita should be a very light yellowish/greenish color. Sour mix is not authentic at all and makes any drink overly sweet while also adding loads of extra calories (which are not worth it!). And worst of all, they don’t even taste good! I also never drink frozen margaritas and don’t know how anyone does. Anyway, I prefer to make my own margaritas at home because they taste better AND they’re only about 120 calories each (less than half of a restaurant margarita)! Use a shaker to mix. Salt rim of a rocks (short) glass and add a few ice cubes. Pour over ice. Garnish with lime wedge. YUM! Note: I like my margaritas on the sour side so if you prefer a sweeter taste, just add more agave! Pretty hefty claims, huh? I bet you’re wondering…. how can it aid weight loss?! Well, the acetic acid in it can actually suppress your appetite, increase metabolism, and reduce water retention. And though not all of the claims have been proven, apple cider vinegar has been used for thousands of years as an antiseptic amongst other things. It’s worth a try, right? If you want to give it a try, mix 1-2 tbsps. (or more if you’re brave) into an 8 oz glass of water. I add lemon to mine to make it more tolerable but that’s up to you. Drink it first thing in the morning (and watch the magic effect on your digestive system!). Make sure to buy a good brand such as Bragg’s — it is organic and unfiltered. More importantly, it also contains the “Mother”…which I know sounds a little creep but it just means that it contains strands of enzymes, proteins and friendly bacteria. 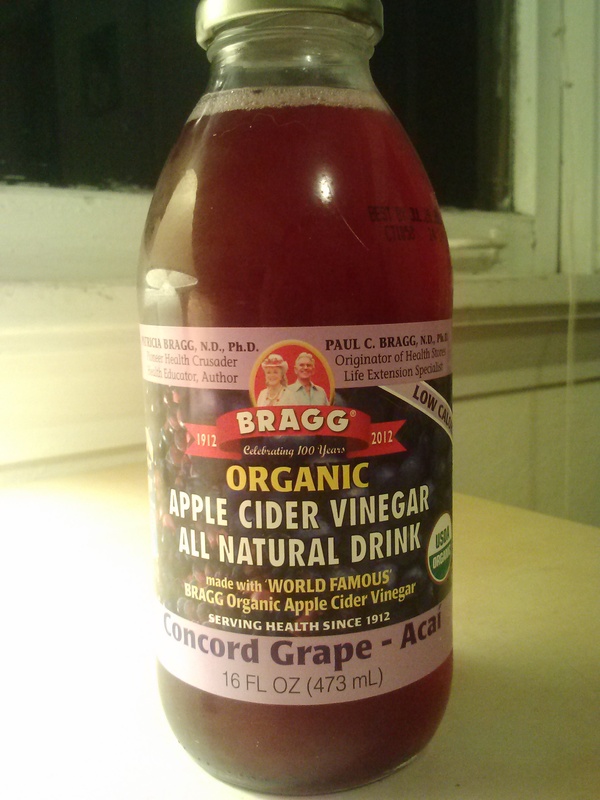 Bragg’s also makes apple cider vinegar drinks. I know, sounds tantalizing, right! But they’re actually pretty tolerable. You can taste the vinegar but it’s not super strong. (I can barely choke it down in lemon water so this is much better). I personally like the Concord Grape but there are other flavors too! It’s New Year’s and we all know what that means! It’s the perfect time to start fresh and set some new goals! if you are like many people, one of your resolutions might be to lose weight. So as you start your fitness journey, I cannot stress enough that there is one thing you should do first — and it has nothing to do with signing up at the gym or perfecting yours salad recipe. 2. Habit — Getting into any good, healthy habits will help you on your journey. Every morning, you may want to start drinking a large glass of water, or hop out of bed to do a light stretch — healthy habits build healthy bodies. So my suggestion is to find time in your day to track your food as a habit. Maybe you do it after every meal, or maybe you do it at night when you’re done eating everything for the day. Either way, make it a habit. The fitness journey is all about healthy, consistent habits. Trust me. 3. Empowerment — You may not realize it now, but knowing how many calories (and carbs, protein and fats) are in that cheeseburger before you even eat it will feel amazing. WHY? Because maybe, just maybe, you won’t be as tempted to eat it in the first place! But even if you are tempted, you will at least know what you’re getting yourself into. What this means is… you are taking the power back from food and giving it to yourself. And there will be no more excuses. You will start to learn about the foods you’re putting into your body. Your health is like a bank account and for each food you eat, there’s a cost… 300 calories, 20 carbs, etc. And you only have so much to spend each day. If you eat the cheeseburger, be prepared for the consequences the same way you would splurging on a Louis Vuitton purse. Everything has a cost and food is NO different. So there you go! My #1 healthy habit to start you on your fitness journey. Don’t worry, there will be plenty more tips coming!